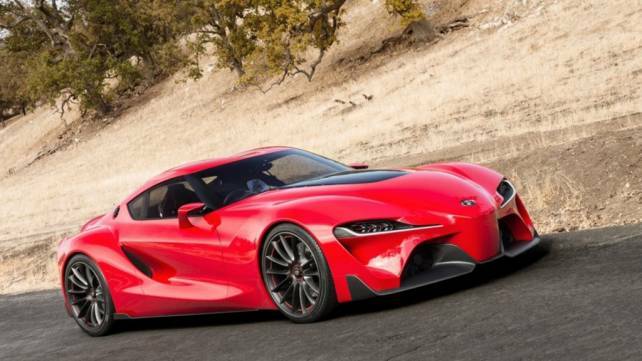 The whole world thought Toyota has bid goodbye forever to supra, but hey, not too fast. The new and redesigned 2020 Toyota Supra is back, and better than you can imagine. After more than 15 years of disappearance from the market and line of cars that were produced by Toyota, it is here again with some interesting features and changes. Read below the release date, what to look out for on the inside and outside and of course, what you will find under its hood. There is no official date that has been released by Toyota about when you will find the 2020 Toyota Supra at the dealership. Although Toyota confirmed that the trademark ‘supra’ has been approved again to be used by them from them. Nonetheless, there are several speculations that the 2020 Toyota Supra will be unveiled by January 2019. So, you can look out for the release of the car pretty soon. The new 2020 Toyota Supra comes with a brilliant dimension — it looks like it will be a bit wider than the models in its line and it will also be shorter. One of the features also is that the weight of the 2020 Toyota Supra is only 1,496 kilogrammes. The lines of the car is reserved and won’t disappear. There are also different other changes, hold on till the new 2020 Toyota Supra is out to learn more about its other features. It seems that a couple of things were modelled in the 2020 Toyota Supra from the BMW Z5, and this is as a result of the fact that they agreed on a partnership to make this care awesome. You will agree that anywhere you hear or see things from BMW, what you can expect to find are strength and agility. So, the 2020 Toyota Supra comes with 6 straight powers. What you will get in the 2020 Toyota Supra is 3.0-liter turbo engine. Expect to see that there will be 355 hp and an accompanying torque of about 332 pounds-feet. Another mind-blowing feature is that the 2020 Toyota Supra will run from 0 to 60 mph in just 3.8 seconds. If you are a car enthusiast, one of the things that you will notice is that the inside of 2020 Toyota Supra is modelled almost like what you will find in the BMW Z4. All the trim levels of 2020 Toyota Supra comes with a display for drivers. You will also notice that the new 2020 Toyota Supra comes with a steering wheel that is wrapped in leather, and there are silver shift paddles. You can also see the centre consoles right inside the 2020 Toyota Supra, this is the infotainment screen that is placed just above the region where you can control the physical climate of the car. There are some of the features you can expect to see in the new car.